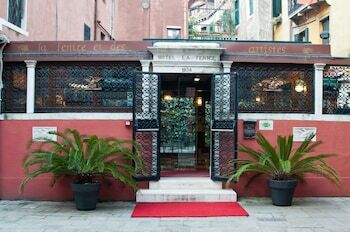 With a stay at Hotel La Fenice Et Des Artistes in Venice (San Marco), you'll be a 5-minute walk from St. Mark's Square and 7 minutes by foot from St. Mark's Basilica. Featured amenities include complimentary newspapers in the lobby, dry cleaning/laundry services, and a 24-hour front desk. With a stay at Le Dimore del Re, you'll be centrally located in Trani, within a 5-minute walk of Trani Castle and Synagogue Museum of Sant'Anna. When you stay at Hortensia House in Cefalu, you'll be near the beach, within a 10-minute walk of Salita Saraceno Staircase and Osteria Magno. Free self parking is available onsite. With a stay at Sicily House, you'll be centrally located in Catania, steps from Greek-Roman Theatre and 3 minutes by foot from Ursino Castle. A roundtrip airport shuttle is available for a surcharge.